Xiamen is a beautiful coastal city where people have a slow-paced life, and it is really a great place for you to relax during holidays. Several attractions below are listed which are worth a visit. Located in the southeastern coast of China, gulangyu is a famous scenery spot of the bustling city ,Xiamen. It is the Gulang Island's sea breezes and tropical temperatures that attract visitors year round. Overly crowded beaches and shopping areas are the only complaints that many visitors seem to have when they arrive on Gulangyu. It is worth mentioning that you should try to avoid visiting the popular island during China's public holidays (especially May Day and National Day) or on the weekends. 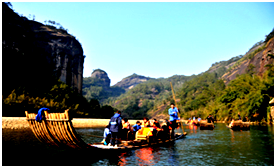 Whether you long for hiking, boating, bird watching, tea estates, waterfalls, cultural heritage sites, or simply want to explore a beautiful, pollution-free part of China, the Wuyi Mountain is the best place you can go to visit. As one of the most spectacularly beautiful areas of southeastern China, it is famous for its abundance of deep canyons, dense forests, waterfalls, animals (many of them endangered), flora and fauna. It's an idyllic destination for any nature lover. The Wuyi Mountains scenic area can be divided into four core parts: the Nine-Bend River area, Wuyishan National Nature Reserve, Wuyishan National Scenic Area, and a special zone that houses important cultural remains of the Ancient Han Dynasty (206 BC – 220 AD). Taining's Danxia area is home to some of the most spectacular caves in the world and one of the six UNESCO World Heritage China Danxia Landform sites. Taining Danxia Landform is the only example of gorge-style, adolescent Danxia landform in China's subtropical zone, therefore it is of great significance for charting the geomorphic evolution of China's Danxia landforms. 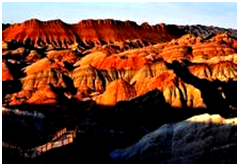 It has been described as "where the story of China's Danxia landform begins". Taining's Danxia ideally combines with lakes, streams, ponds, and waterfalls, forming a rare watery Danxia wonderland in China and abroad. You can take a cruise on Dajin Lake to appreciate the stunning Danxia landforms. This scenic area is famous for "Danxia on Water" and waterfalls and temples can also been seen. Xiamen University is worth visiting if you have interest in university life in China and have a will of strolling in beautiful park-like grounds. 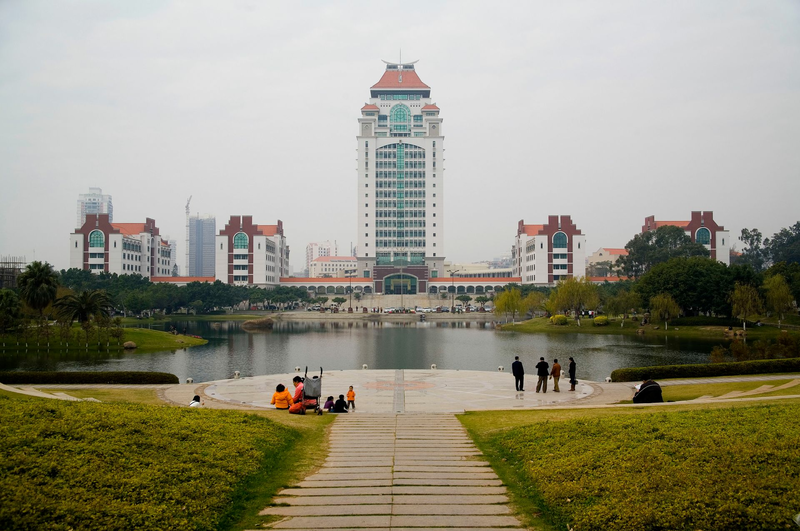 With sea views and unique foreign influence from its founding, this university is the best in Xiamen and one of the best in China. The campus is open year-round. Spring is an excellent time to visit when the campus is bejeweled with thousands of flowers blossoming. In autumn, the brightly colored foliage of the many trees dotting the campus is a major attraction. At present, there are no guided tours available for Xiamen University. But, due to the large number of foreign faculty and students from overseas, it is usually easy to find a friendly local on campus who is willing to help you point out the best sites to see. Be sure to bring a camera with you if you want to record ample evidence of the amazing architecture and beautifully green campus set against an ocean backdrop. South Putuo Temple, a famous ancient temple in Xiamen, has its name because of its main conformity to Guanyin and Bodhisattva, as well as its location to the south of Putuo Mountain, one of the four great Buddhist fields in Zhoushan of Zhejiang Province. . 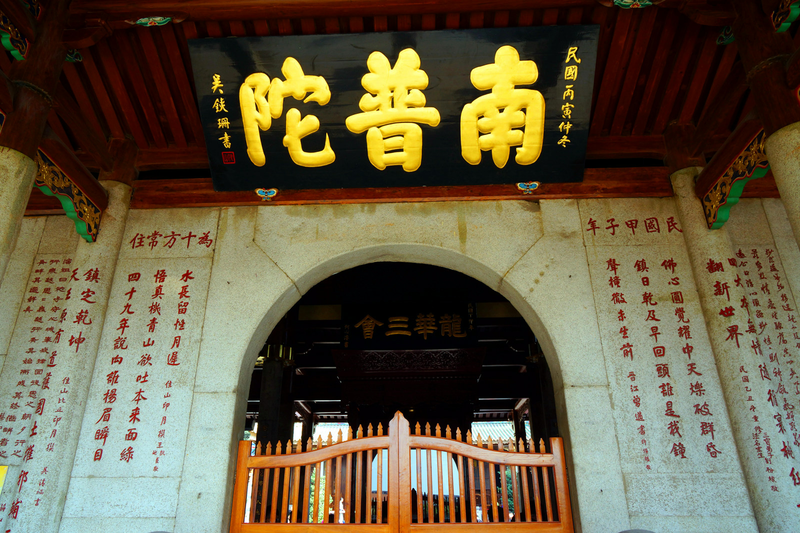 Established in 1925, The Buddhist Institute of South Fujian is housed in the temple, the earliest Buddhist institute in the country. The institute ran a school again in 1985, and established Yangzheng College, a formal preparatory class of the two-year system. It also established an additional a two-year research class, exerting extensive influence at home and throughout Southeast Asia. Xiamen Botanical Garden ,one of China's most famous and beautiful botanical gardens, is also known as Wanshi Botanical Garden. The best time to visit Xiamen Botanical Garden is early in the morning. If you arrive before 7.am, admission is free. Plan to spend at least six hours in the park. The Rose Garden is one of the botanical garden's most popular attractions. You'll instantly feel cut off from the rest of the world in this tranquil retreat in the middle of the city.